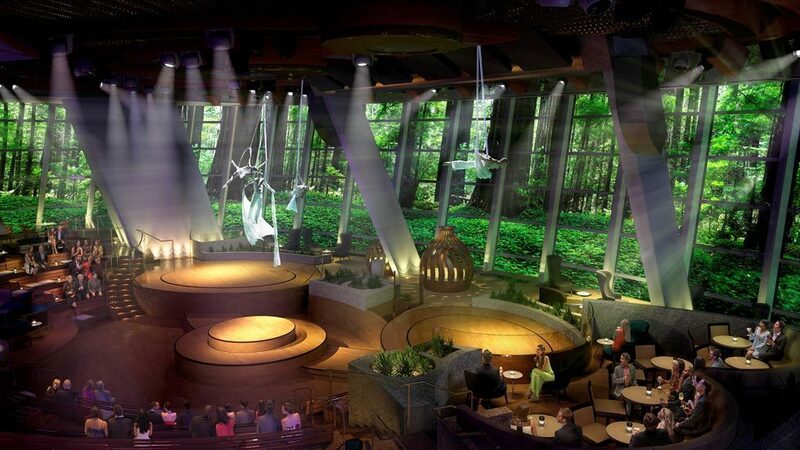 Just when you thought that Royal Caribbean International cruise ships couldn’t get any better, Quantum of the Seas has been launched amidst much fanfare, and passengers are in for a treat like never before. 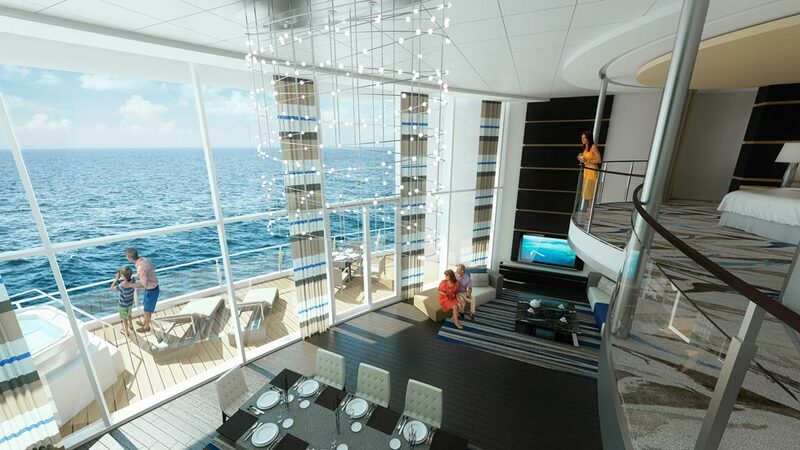 Exciting innovations include the first ever at-sea skydiving simulator, a viewing capsule that extends 300 feet above sea level, and virtual balconies for inside cabins to experience real-time viewing of exciting destinations and ocean vistas. Quantum of the Seas is the first of a new generation of Royal Caribbean cruise ships, with room for 4,180 passengers onboard 167,800 tons of floating luxury. 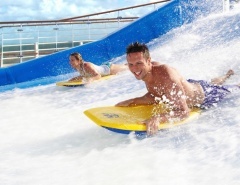 A cruise on Quantum of the Seas can be exciting, relaxing or pure fun, and that is even before you reach your choice of exotic destinations around the world. For the uninitiated, an ocean cruise is now much more than simply lounging around the pool deck sipping a cool drink, although it does remain an ever-popular attraction. Alternative diversions on Quantum of the Seas include a huge entertainment and sporting complex, Seaplex, which rivals the best land based amusement parks, hosting attractions such as bumper cars, a roller skating rink, and even the opportunity to learn acrobatic skills and experience the flying trapeze at the circus school. Smaller tots and toddlers are well looked after in a range of entertainment and fun, supervised by qualified carers, meaning you will have plenty of time to relax at the adults-only solarium and swimming pool with retractable roof. Royal Caribbean’s luxurious cabin categories are bigger than ever on Quantum of the Seas, with family-connected staterooms including balconies for an opulent indoor/outdoor experience. Dining options are also moving with the times. A brand new concept called Dynamic Dining replaces set dining times, and flexible restaurant options are available at 18 onboard venues, meaning you can choose where to eat at your convenience according to your preferred cuisine, with unparalleled food choices ensuring a hearty appetite. 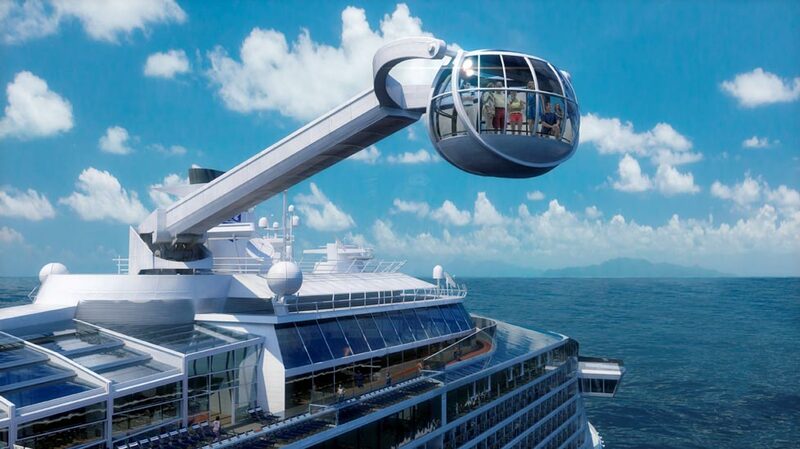 Quantum of the Seas is sure to capture a new wave of cruise fans, and repeat customers are in for a real treat. Here are just some of the features being rolled out. 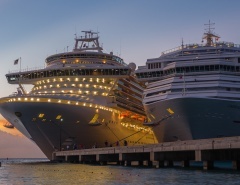 On average, the cabins on Quantum of the Seas are almost 10 percent larger than those on Oasis Class ships. Modern amenities include multifunctional furniture design, plenty of storage space and USB ports. Family-connected cabins offer privacy and space, and approximately 75 percent of the cabins come with balconies. The remaining cabins have real-time virtual balconies, so you can remain in touch with the outside world at all times. Studio cabins, wheelchair accessible cabins and full baths are also available. 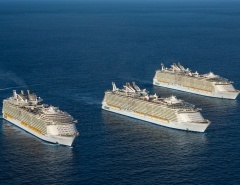 Whether you cruise solo or bring the entire family, Quantum of the Seas is the perfect fit. Spectacular full-length stage shows including the Broadway hit Mamma Mia are guaranteed to get you singing and dancing the nights away. Another attraction, the all new Two70 venue, seats 450 patrons and includes floor to ceiling digital screen technology, Roboscreens and virtual visuals that will astound and surprise. For a more traditional experience, the Music Hall venue includes great bands playing your favourite hits, plus a choice of bars, billiards and even dance classes. And don’t forget the after dark adults-only late night show. 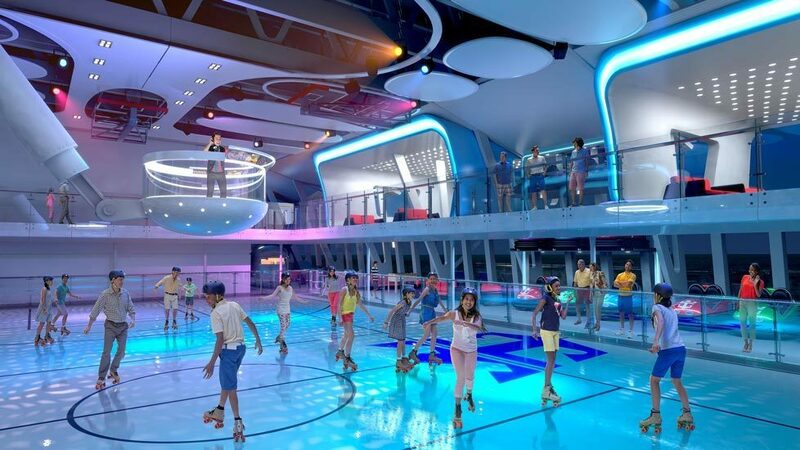 For those whose idea of entertainment is exercise and play, Seaplex has it all: roller skating, bumper cars, a basketball court and even a flying trapeze. The RipCord skydiving simulator is sure to become a popular attraction on Quantum of the Seas. Float above the crowd in a giant transparent chamber with ocean views that go on forever, as amazed onlookers witness the action from an elevated viewing platform. Then again, the astounding sensation of floating in the transparent pod, North Star, 300 feet above sea level may be more to your taste. The premium North Star experience, including sunrise and sunset flights with champagne and dinner, is sure to be popular. Perpetual favourites such as the rock climbing wall and FlowRider surf simulator are just a few more of the numerous enticements for passenger pleasure and leisure. 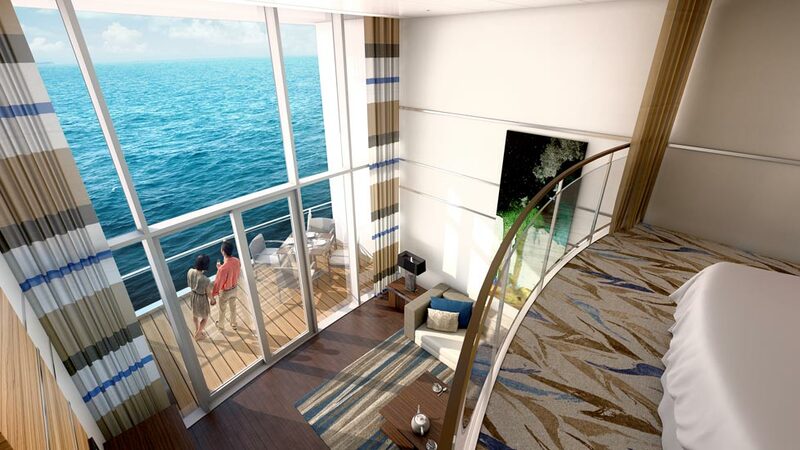 Quantum of the Seas is a progressive representation of modern cruise passenger choices. The main dining room concept has been replaced with 18 restaurant choices, including free meal options. This radical departure from tradition is shaped by the menus of celebrity chefs such as Jamie Oliver, Michael Schwartz and Devin Alexander, to name a few. Classic cuisines from around the globe mean that every dietary preference is onboard for your gourmet delight. Royal Caribbean International believes every family member should have a great cruise. Quantum of the Seas incorporates an Adventure Ocean children’s program, a nursery for babies and tots, and familiar DreamWorks favourites, with appearances from Kung Fu Panda, Shrek and Madagascar. And the famous H20 Zone on the top deck is everyone’s favourite water park. In a world where communication for business or pleasure is part of daily life no matter where you are, it’s important to remain in touch with colleagues, family and friends. Introducing Quantum of the Seas fast satellite internet powered by 03b Networks. This latest innovation is expected to result in dramatically higher speeds and internet capacity, a godsend for those who require a quality roaming connection. 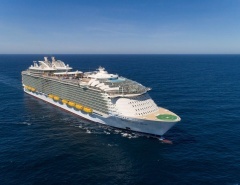 Quantum of the Seas will be among the first Royal Caribbean International ships to boast the 03b network, alongside the majestic Oasis of the Seas and sister ship Allure of the Seas. There has never been a better opportunity to get onboard and get online. The launch of Quantum of the Seas heralds in a new era of cruising, and includes itineraries to suit adventurous and exotic travel to some of the most impressive and exciting destinations around the world. Amazingly, an ocean cruise on a luxury liner is one of the most cost-effective holiday options available, in no small part due to Royal Caribbean’s large fleet of ships tailored to suit every budget and passenger type. Quantum of the Seas is the result of years of planning and design excellence aimed at satisfying every possible need, both onboard and at your cruise destination, and is certain to become the benchmark for new cruise ship luxury, service, hospitality, and innovation. Let me know if you are interested in more specific details and I will do the research! * All images of Quantum of the SeasSM are computer generated and reflect proposed design. Designs, features and itineraries are subject to change.